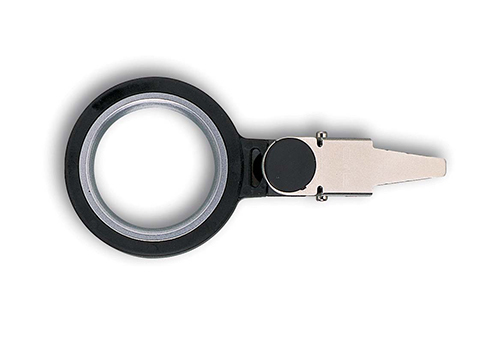 These C&F Design hackle pliers feature the famous C & F Design Elastomer rubber grip. Each hackle plier head has a slight flare at the nose to minimize risk of cutting delicate hackles. As you would expect from C&F Design - excellent workmanship and attention to detail. A rotary Hackle Pliers are a unique free-angle hackle plier with silk-smooth movement for faster winding without twisting hackles. Contrast plate to reduce eye fatigue grey with white on reverse allows you to choose the best contrast. Same design as the Standard Bobbin Holder but with a finer tube for increased access on smaller flies. Ideal for 8/0 thread and finer. Free-angle hackle pliers with smooth movements for faster winding without twisting hackles.